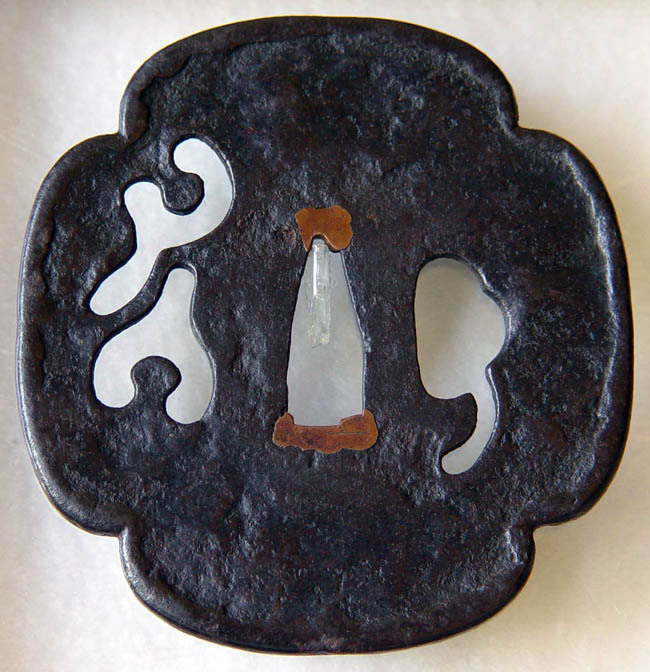 "Mokko shape iron tsuba with sukashi design of matsutake (mushrooms). 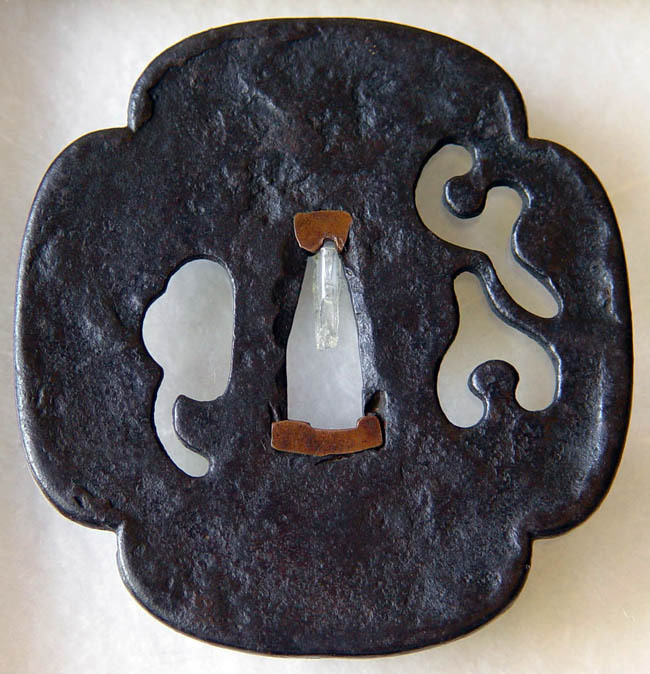 The angles of the sukashi design add movement to the tsuba and enhance the impression sought by the smith. 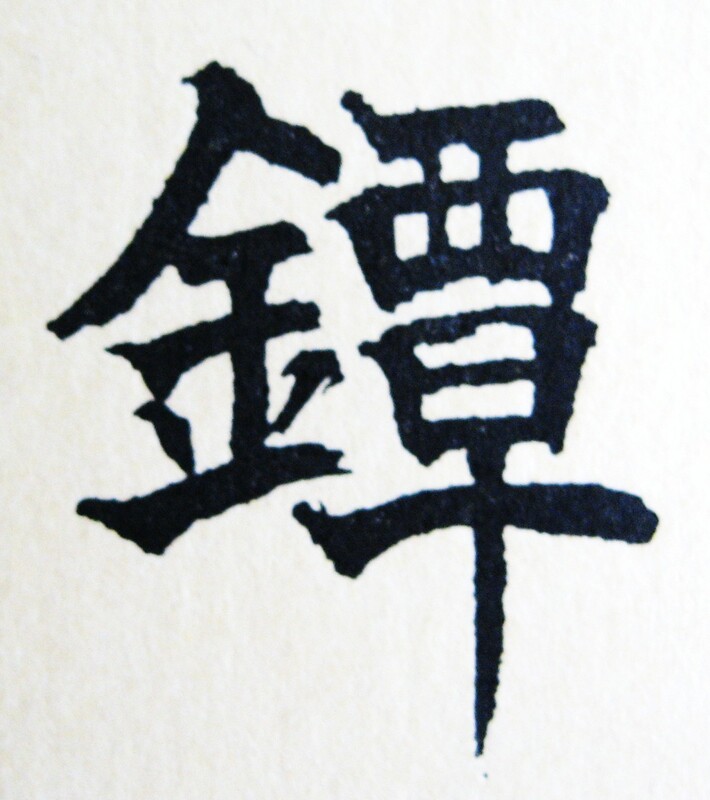 Many Tsubaco use the matsutake design symbolizing rapid growth and lack of roots. Dates to ca.1500.